It's hard to imagine Hotel Dieu Hospital once existed near Downtown. The hospital was quite large from the looks of the building. Out there someone has a postcard that has a an image of what the Hotel Dieu Hospital looked like. The old hospital used to be located at Stanton and Rio Grande before it was demolished. Before they decided to destroy Hotel Dieu Hospital, it was known for being haunted especially in the surgical unit. It was said that a doctor makes his rounds in patient rooms, especially in the operating rooms. 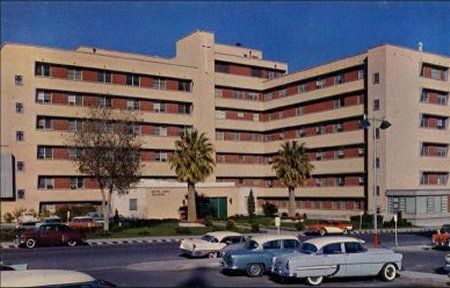 According to Spirits Of The Border: The History And Mystery Of El Paso Del Norte book, Hotel Dieu Hospital was sold on December 5, 1987. My family always drove past Hote Dieu Hospital when it was still standing. Every time we took the route it was on, I remember always hearing about how haunted the place was. If you remember stories about Hotel Dieu Hospital your parents or relative told, take the poll below!